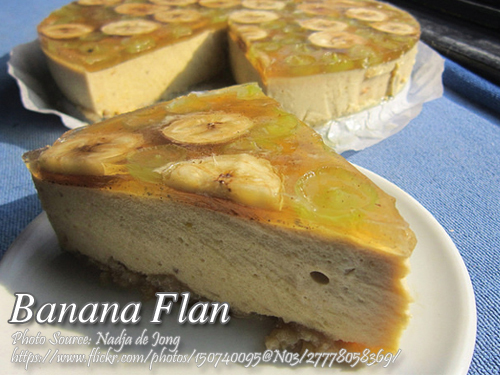 This is a delicious and easy to make flan dessert made from gelatin, condensed milk and garnished with bananas. 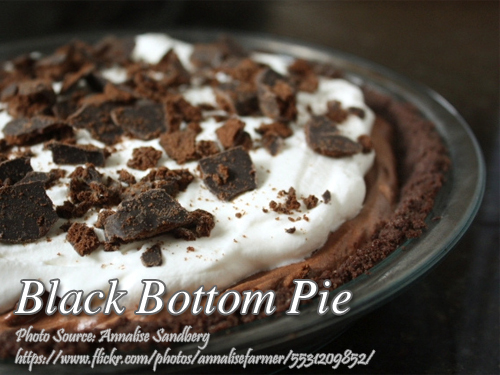 It is layered on the bottom with butter cookies or graham just like a cheese cake. 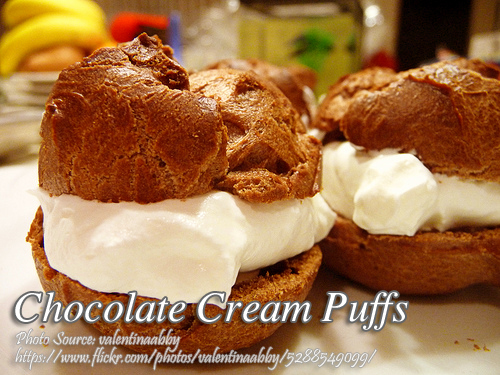 I’m sure you are going to love the taste and ease of preparing this dessert. Cool culinary on handling gelatin: For properly set gelatin mixtures, gelatin must be dissolved completely in hot liquid such as water or milk in a bowl or saucepan. No visible bits of gelatin should remain in the mixture or they will spoil its clarity and smoothness. To turn out gelatin desserts on to serving platter, dip mold into warm water (just to the rim) for 10 seconds. Be careful not to melt the dessert. Before inverting platter on top of mold, moisten platter first so that if dessert comes out off-center on the platter, it can be moved easily to the center. Grease 9" x 9" ovenproof dish with butter. Lay half of the butter cookies or graham crackers at the bottom of the pan. Set aside. In a saucepan, dissolve gelatin with milk, water and eggs. Put over medium heat, stirring constantly until mixture thickens. Add vanilla extract. Pour half flan mixture over cookies. Let cool till half set. Layer up the bananas on top of flan. Pour remaining flan. Top with remaining cookies or Graham crackers. Press them lightly onto the flan. Chill and serve.